The Medical College of Wisconsin announced its largest philanthropic gift ever — $37.8 million — from the Kern family and the Kern Family Foundation to establish the Robert D. and Patricia E. Kern Institute for the Transformation of Medical Education. 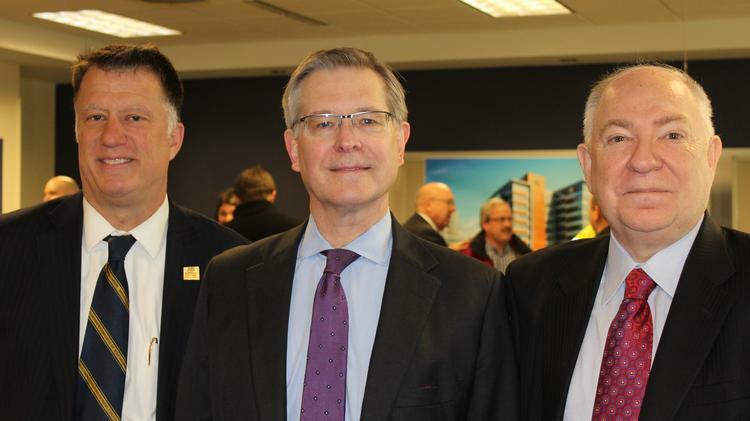 The Medical College of Wisconsin is committed to transforming medical education and fostering the qualities of future physicians, said president Dr. John Raymond. “The Kern Institute will advance innovative medical education models to better prepare medical students to face the challenges of our rapidly evolving 21st century health care environment,” Raymond said in a Thursday press release. The Kern Institute will drive a movement to transform medical education through a “triple aim” for medical education: character, competence and caring. Those aims are critical to physicians partnering with patients, families, and communities for compassionate, evidence-based care, delivered with integrity, the Medical College said.